We've been working on this project for a long time and now, with the final raid of Legion here, it's time to reveal it. World of Warcraft has a long and storied history, with raiding being a huge part of the game since its very beginning. There have been several places where one could check World Firsts throughout the years, but we thought a centralized (and good looking, if we do say so ourselves) timeline, with all the relevant information on boss kills was needed. The timeline itself might look familiar to you, as it was originally part of the Manaflask site. But, as that page is gone, with the Method site taking over World First progress race coverage it was a natural fit for this project, especially since Method as a guild have been in the raid progress race almost since the beginning of the game. We've upgraded the old Manaflask timeline quite a bit as well, but also brought over some of the better articles from the history of raiding, including old raid progress coverage articles, guild interviews, raid retrospectives and more! 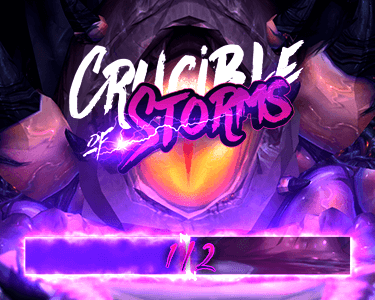 We went through all the boss kill dates and corrected some mistakes, as well as added some new World Firsts that have been found since the original site went down. In fact, the very first kill registered on the timeline is brand new, as Onyxia was killed by Korean guild "The Chosen" before the previous presumed World First by US guild "Ruined". We've also added videos for each boss, finding the highest ranked kill where available, and adding non-WF and even un-ranked ones where we couldn't find any better ones, so everyone could at least get an idea of what the encounter looked like. As Manaflask is no longer live, the most important aspect of this new timeline is that it will continue to be updated with new kills as they happen, which we've already done with the finished Legion raids, and with Antorus: the Burning Throne progress starting next week, we'll be adding new World Firsts and videos as they happen. We've salvaged the best of the older articles from Manaflask, as well as added our own from Legion onwards and will be adding new ones to the timeline as they are created. So not only will you have an overview of all the World Firsts and videos, you can also take a look at some of the older articles related to previous raids, including guild and player interviews, raid progress review series like Sonie's Healing Method or Mancy's Ensidia, Wormie's Vanilla expansion overview articles, as well as older raid progress coverage. And finally, we'd like to thank our amazing website and content teams, especially Paul Harrison from Duality Media, for putting in a tremendous amount of time and effort into making this possible.